The developer of Dead Cells is “looking into” releasing its games on Google’s Stadia streaming service, which was announced earlier this month. In an interview with DualShockers, Motion Twin’s head of studio Steve Filby said he was “excited” by the platform, which doesn’t yet have a release date, adding that the studio was open to working with Google and that it’s “definitely something we’re looking into”. He also revealed that the Dead Cells dev team were “not planning on stopping anytime soon” with extra content, following the huge, free Rise of the Giant update this week. 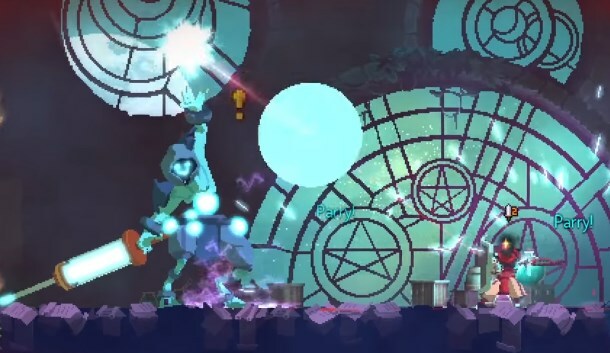 The studio will release another update in the summer, and plans to add new levels to Dead Cells later in the year, he said. Filby is not the only developer who’s spoken about Stadia recently: industry figures are equal parts confused, excited and worried about the streaming service.